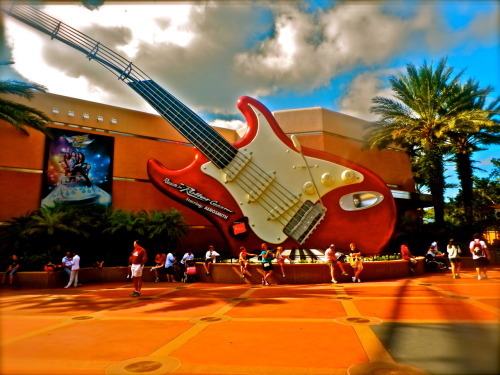 Rockin' Roller Coaster is my all time favorite ride, not just including Disney parks. I love the concept and how it speeds from zero to sixty miles per hour in 2.8 seconds. Waiting in line for this ride actually sparked my interest in Aerosmith's music, which I'm sure was the original intent of the ride. Their music is so fun to listen to during those long waiting times, it definitely makes the process more fun! The ride is so fast and so fun, I'm so excited to get to ride it again when the Disney College Program starts! I've already decided with my friend and roommate that Hollywood Studios and this ride are going to be the first stops as soon as we get our free passes into the parks.